desire to keep alive the rich history of the property while addressing the need for local shopping . that everyone can embrace and be proud of,” Allison explains. trees, ponds and river banks intact for residents’ enjoyment and to preserve a large portion of the geographic history. roads can be paved, fire and police will be well funded, and libraries, athletic fields and other amenities will be possible. to form Dewey-Humboldt in the 2004 incorporation, there has not been a real community epicenter for residents to enjoy. markets and a myriad of other public events will be possibilities with this space. work together for everyone ’s benefit. 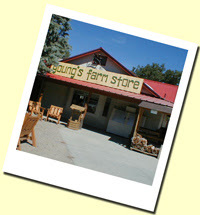 We all have fond memories of Young's farm and growing up in The rual Prescott area....but change is change if not good. The farm couldn't support itself and like all things this too must change...here is an artivcal I found interesting. Scottsdale, Ariz., -- Jan. 23, 2006 – Monogram Companies, an experienced developer with a history of building appropriately scaled neighborhoods that enhance existing communities, and Tom Chambers Properties Inc., announced today the purchase of Young’s Farm. 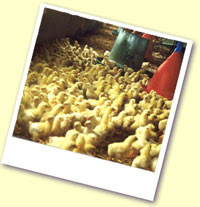 The planning process is underway; however the Young family will continue to operate the farm through 2006. The appropriately scaled, low-density residential and commercial village will include retailers such as a bank, grocery store, restaurant and the farmers’ market to provide services to the people of Dewey-Humboldt and visitors. Monogram specializes in creating communities that often require special expertise and the ability and sensitivity to work closely with surrounding residents and local organizations, as well as city, county, state and federal agencies, to resolve complicated land development issues. The company has assembled a team of experts in planning, residential and commercial architectural design, hydrology, water resources, traffic, and landscape architecture to ensure best practices throughout all aspects of this project. Dewey-Humboldt resident and real estate investor Julie Conner continues to hold an interest in this project and will be actively involved in the community outreach program. Formed in 2002, Scottsdale, Ariz.-Monogram Design Builders (www.monogramdesignbuilders.com) specializes in building energy-efficient, environmentally friendly, single-family homes on in-fill parcels that incorporate construction best practices. The company is one of the few Valley homebuilders to be recognized by the U.S. Environmental Protection Agency as a 100 percent Energy Star partner. Monogram Development Services LLC (MDS) (www.monogramdevelopment.com), which began operations in 2001, specializes in land acquisition and development for single-family residential projects. MDS principals have brokered over $400 million in land sales and entitled and improved over 8,000 residential lots. Arizona natives Don Allison, Russ Hermann and Dan Hellman founded the companies and serve as managing partners. About Tom Chambers Properties Inc. Since leaving the ranks of professional basketball, CEO Tom Chambers, who holds the Suns’ single-game scoring record, has carved out an impressive role in the business world. Chambers founded Tom Chambers Properties, Inc. to broker opportunities for land investment and development. He is also the owner of Shooting Star Ranch, a successful horse breeding farm in North Ogden, Utah.